You’ve seen Claudio Caluori getting smoked by Aaron Gwin, now it’s time to see what the Windham course looks like when it gets hit at full speed by one of the world’s best riders. 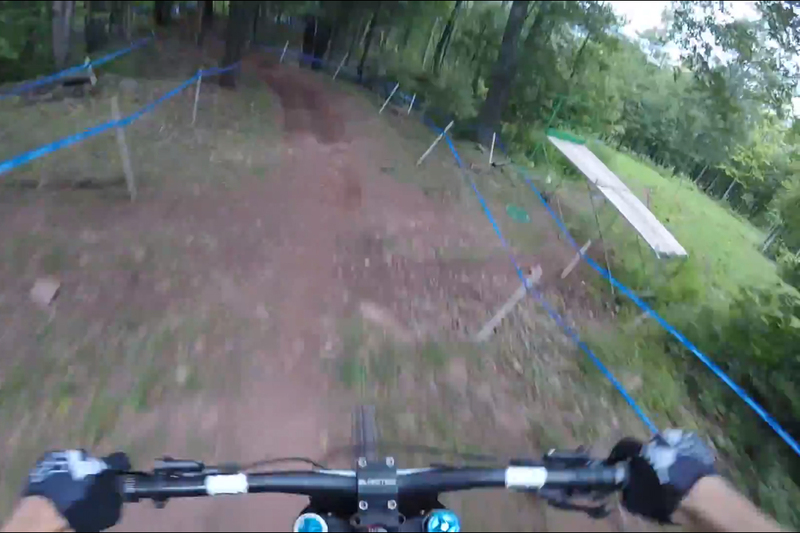 Josh Bryceland, fresh from his win in Mont-Sainte-Anne, has uploaded a helmet cam run of himself hitting the course in timed training. It’s safe to say Windham looks dry, dusty and full-on from top to bottom. The organisers have added a few new features this year, such as a whoops section and some more corners at the top, but the characteristics of the American course remain the same. Josh Bryceland took the win at last year’s race here so he certainly knows a thing or two about railing this short but sharp course. Other contender’s for the men’s race will be series leader Aaron Gwin and the most successful male downhill rider ever Greg Minnaar who has found a flush of form this year. Last year’s women’s winner, Emmeline Ragot, is out with injury so it is tough to see anyone challenging Rachel Atherton, especially as she was fastest by 12 seconds in timed training.